In this htaccess tutorial tutorial you will find out about the .htaccess file and the power it has to improve your website. Although .htaccess is only a file, it can change settings on the servers and allow you to do many different things, the most popular being able to have your own custom 404 error pages. .htaccess isn’t difficult to use as it is really just made up of a few simple instructions in a text file. You may be wondering what the .htaccess can do, or you may have read about some of its uses but don’t realise just how many things you can actually do with it. If you run into problems saving the file, you will need to name it something else (e.g. htaccess.txt) and then upload it to the server. Once you have uploaded the file you can then rename it using an FTP program. Although using .htaccess on your server is extremely unlikely to cause you any problems (if something is wrong it simply won’t work), you should be wary if you are using the Microsoft FrontPage Extensions. The FrontPage extensions use the .htaccess file so you should not really edit it to add your own information. If you do want to (this is not recommended, but is possible) you should download the .htaccess file from your server first (if it exists) and then add your code to the beginning. This can be a very effective way to protect certain directories on a domain. Any other directory in public_html can be protected in the same way. This method only works if you have a static IP address assigned to you. Anyone attempting to browse such directories using a different IP Address will get a 403 Forbidden error. In the directory you wish to protect, open/create your .htaccess file. Save your .htaccess file and try creating uploading a few files – note: always use dashes or underscores in place of spaces for files being uploaded to the web. 2. To remove this capability, either delete the line added or replace the + with a -. By default the home page of your website is generally the index.html file(or maybe index.php if you’re using a database solution) as this is the file a browser will automatically look for on arrival at your site. However, there may be times where you would like to have your home page set to use another file in your site instead, e.g. home.html. To do this is quite simple using the .htaccess file and the “redirect 301” command. This form of redirect is commonly used to redirect viewers to a completely different website altogether. In the folder that contains the index.html and home.html files, open/create your .htaccess file. Save the .htaccess file and your done. Now test the redirect by entering the domain name into the address bar of your browser and hit go/enter. 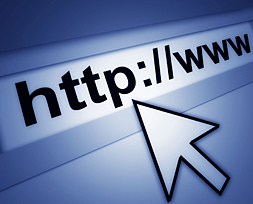 If the redirect is working properly, the address displayed should change to http://www.yourdomainname.com/home.html and display your home page. Having multiple domains for the same site is now quite common. To add them to a site most people use the ‘Parked Domain” function so anyone who types them in will see your main site. However, from a search engine optimisation point of view this is not the best thing to do. With a search engine like Google for example, you may loose ranking status for having duplicate versions of your site online. When Google searches it sees your sites content attached to number of domains and basically counts this as a form of content spamming, instantly decreasing your possible ranking status. And the more parked domains you have, the bigger the impact on your rankings. If you’re hosted on an Apache powered server however, this negative effect of parking domains can be avoided by using the servers mod rewrite function. The bonus of this method is that the redirect will also be telling the search engines that any previously indexed information has simply been moved to your main site and has not disappeared. This will mean you won’t lose any ranking status already applied to any particular page in your site.